Salted duck egg is one of the commonly used ingredients in Taiwanese cooking. It's a type of preserved product by soaking the duck eggs in highly salted water for few weeks. The eggs will then steamed, packed, and sold in grocery stores. You can crack the shell and serve the egg straight up, usually with porridge for breakfast. You can also crush the egg and cook in oil for few minutes to enhance the aroma. This will then be used as the base sauce or seasonings for other ingredients, the more common pairings are fried king oyster mushroom and fried shrimps. 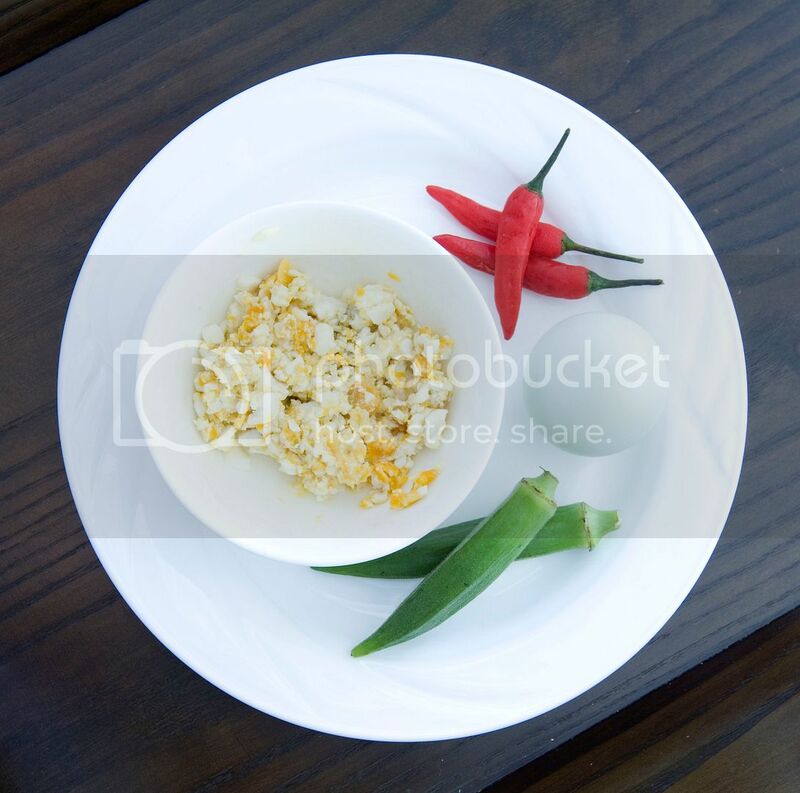 For this recipe, I'm going to utilize the second method of cooking the salted eggs first then mix with my fried rice ingredients. It's nice to steer away from the regular chicken eggs and substitute with heavier tasting salted duck eggs once a while. Ingredients (for 3 to 4 portions)? Cook 2 cups of white rice but use a little bit less water than usual. 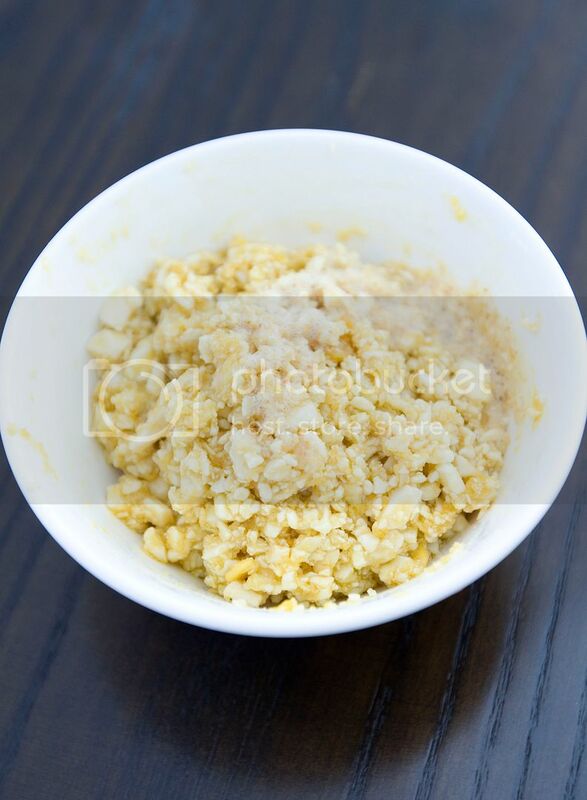 This way you'll get chewier freshly cooked grains, which is the texture we are looking for to use in fried rice recipe. Overnight leftover rice also works well. Crack the duck egg shells and smash both the egg white and yolk in a small bowl. Remove the chili stems and finely chop the remaining. Remove the okra stems and slice the remaining. Peel and chop the onion into small square pieces. Peel and chop the carrot into tiny cubes. Discard the very bottom root of the cilantro and finely chop the remaining stems, save some leaves for garnish. Cut the chicken tender into smaller pieces, there's no need to marinate for this recipe. Drizzle about 2 tablespoons of oil into the pan and turn to medium heat. Add in smashed duck eggs. It'll start bubbling slightly when heated up, make sure to stir constantly to prevent from burning. Wait till the color changes to darker yellow hue and the aroma comes out then scoop to a bowl for later use. Drizzle another 2 tablespoons of oil into the pan and turn to medium high heat. Add in chopped onion along with small pinch of salt and small pinch of black pepper. Give it a quick stir and cook till slightly browned on the edges, about 5 minutes. Add in the chilies and cilantro stems. The stems are tougher so need to cook earlier during the process. Transfer the carrot into the mixture and cook for 2 minutes. Once done, add in the chicken and cook for 2 minutes, then okra for another 2 more minutes. Pour in the duck egg paste, pour in the soy sauce along the rim of the pan, the heat will draw out more soy aroma this way. Add a little bit of white pepper powder. Give the mixture a quick stir. Add in cooked rice and lower the heat. 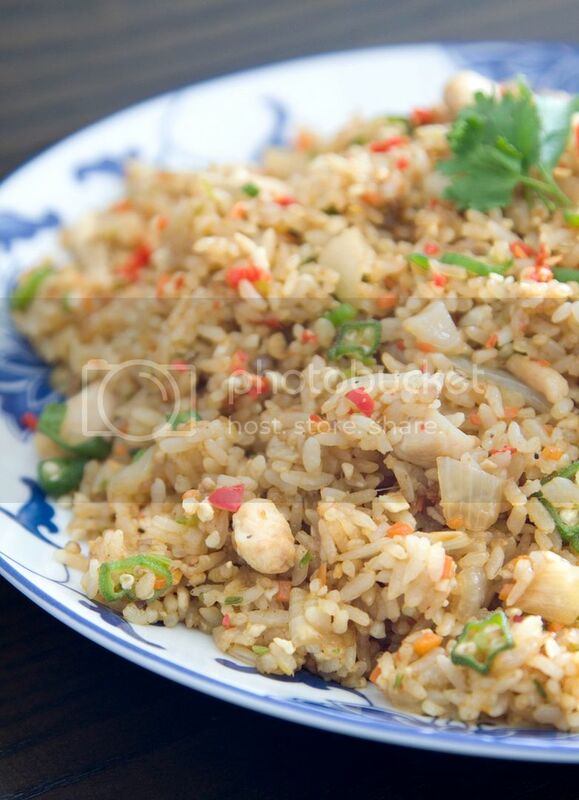 Gently mix the ingredients together with the rice, making sure every grain are coated with the seasoning. You can tell by looking at the color of the rice. Try to break apart any white rice chunks if there's any. Lastly, garnish the fried rice with some chopped chilies and cilantro leaves before serving. Noted I didn't use much salt for this recipe since the duck eggs are salty enough. However, I added just a little bit of soy sauce to boost the aroma. Usually I prefer to use additional seasonings when eating fried rice, such as Sriracha or homemade chili sauce, but not this time! 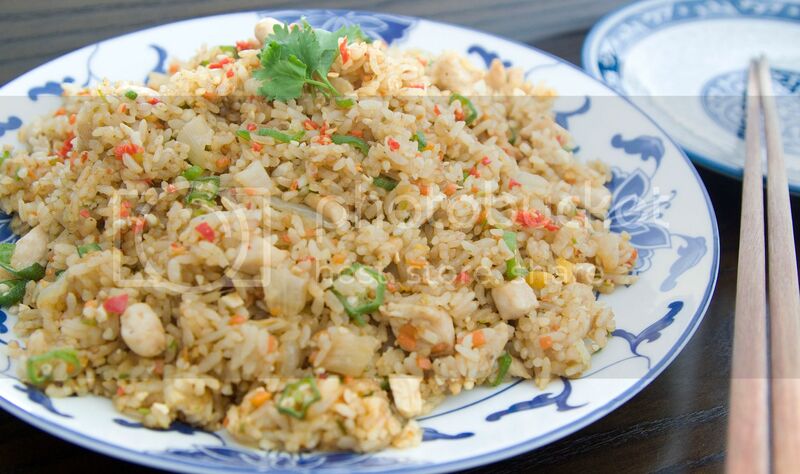 The salted duck egg really adds lots of flavors so the fried rice is pretty good just the way it is. 好丰富！in just one dish. Nice. Mam what is mean of okra?